Luxury, performance, and quality combine to make the new Mercedes-Benz C-Class cars quite a catch for today’s savvy car shoppers. Body type options for C-Class model include sedans, coupes, and cabriolets/convertibles. Of course, choices go well beyond the model numbers to encompass a range of luxuries, handsome styles, and great technologies. Our C-Class sedan inventory includes secveral trims, such as the C 300, C 300 4MATIC®, C 300 Sport, and the AMG® editions. The base engine available is a 2.0L, 4-cylinder, yet goes up to a 4.0L, twin turbo V8 depending on which C-Class model you buy. Nine-speed automatics control the action in all, except for the AMG® C 63, which has a special seven-speed transmission. The C 300 drives along wih 241 horspower, while the AMG® C 43 includes 362 horsepower, and the AMG® C 63 includes 469 horsepower. The upscale cabins wear real wood trim. Leather is available across the lineup. Nappa leather is a favorite on the higher trims. Luxury elements are chosen for the just-right blend of contemporary and classic style. Upholstery can be refined and professional, or you can mix it up with a red and black combination. Technology rules the cabin with a large display and COMAND® controller. Another great feature of this model is the Collision Prevention Assistance Plus, which can actually slow or stop the vehicle to avoid a dangerous situation or a possible crash situation. The touch of automation to help take the stress out of your daily commute is a popular takeaway from drivers of this model vehicle. When it comes to quality, Mercedes-Benz has cornered the market. Year after year, Mercedes-Benz vehicles continue to earn respect for their luxury, style, and craftsmanship. Durability and reliability go hand in hand with the demanding attention to detail. Every aspect of the C-Class vehicle has been subjected to exacting tests, making sure each part can stand the test of time and use. Valuable warranties follow your new purchase home. It covers your car for 48 months or 50,000 miles. Helping you maintain your car, our service department has highly skilled technicians who know the ins and outs of Mercedes-Benz maintenance and repair. To add even more convenince, the 2018 Mercedes-Benz C-Class has a service interval indicator that helps you keep up with brake repair, as well as the oil level. 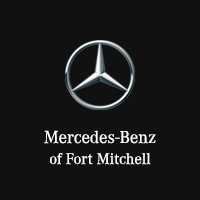 You can see the entire line-up of Mercedes-Benz C-Class sedans and cabriolets at our local Fort Mitchell Mercedes-Benz dealership, located near Covington, KY and Cincinnati OH. Get behind the wheel and find out which aspects you like best, today.